Remember to toast the birth of the World Wide Web this Saturday—just don’t buy it a drink. It was only twenty years ago that Tim Berners-Lee loaded the first webpage. Now it’s such an indispensable aid to modern life that researchers are evaluating not if, but how it’s rewiring our brains. That is of course if you are one of the lucky third of the population that has access. The pace of adoption, however, must make one feel optimistic that soon children won’t remember a world where it hasn’t been possible to ‘ask the internet’ from a mobile. 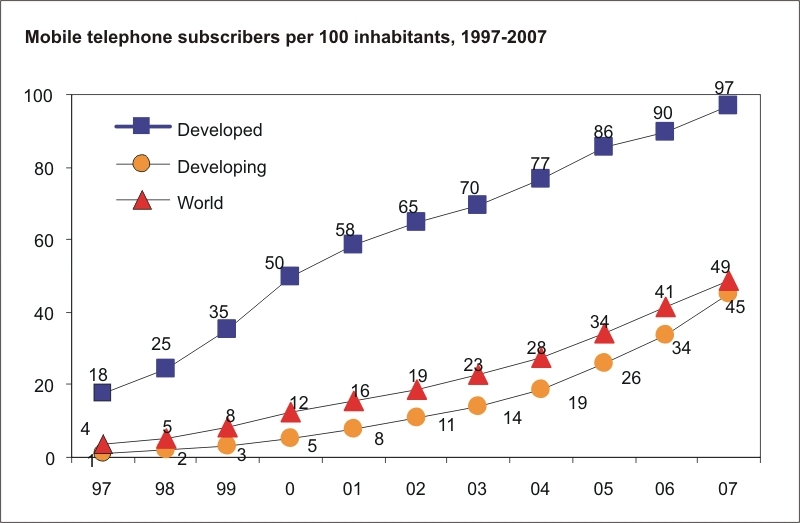 While the long term impact of web access is exciting, the much more important development has been the exponential growth in data rates and the adoption of SMS. The brilliance of SMS was realizing that sufficiently short texts could be encoded into the control messages that the network already had to send to keep voice data flowing smoothly. It’s taken 18 years, but we’re starting to see tools being built that use SMS to do everything from record medical information to browse job listings. The important thing to remember is that these tools need to be adopted to be useful and that’s not going to happen if they aren’t applicable. Local ownership and innovation is critical in developing effective solutions which is why the trend toward open sourced software is so encouraging. 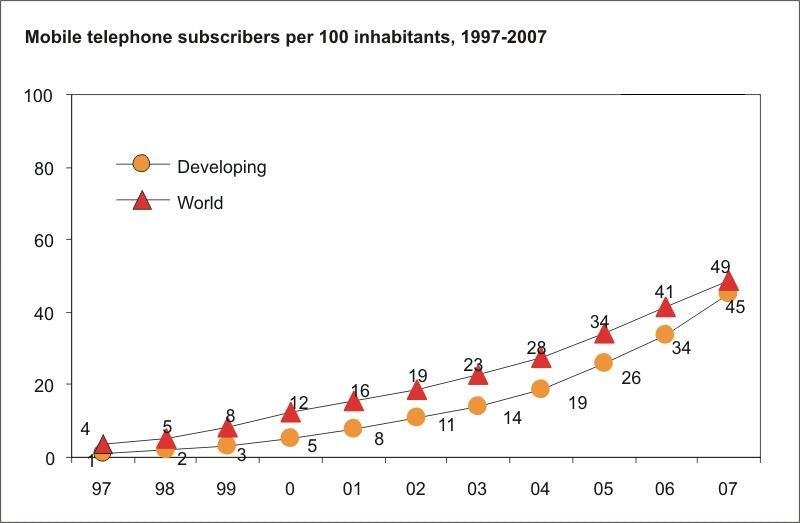 SMS and mobile communications have penetrated society faster than any prior information technology. Billions of individuals own mobile phones and it’s predicted that next year 85% of new handsets will be able to access the Internet. One of the primary reasons is the dramatic cost savings between installing land lines and wireless towers. 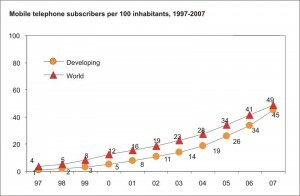 Wireless standards are rapidly improving which means developing countries can leapfrog expensive and outdated copper networks. What’s more users see the cost savings in getting a twenty dollar phone that can save hours of travel or become an essential business tool. It’s hard not to be astounded by the impact the Internet has had in the developed world. From commerce to dating, there is hardly an aspect of society that hasn’t been altered. Expressed more broadly advances in information sharing simplify and facilitate transactions (whether in love or business). I’m willing to transfer money to a stranger because I’ve seen the testimony of others who’ve done the same and were satisfied with their mint condition Beanie Baby. The same principle is being applied to help farmers sell products in distant markets. Not to be hyperbolic, but the impact of having billions of people with phones faster than early supercomputers constantly connected to a global communications network at rates capable of transmitting streaming video is going to be fairly substantial.